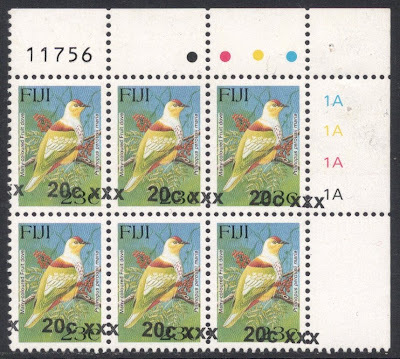 I love birds and I love definitives, so last Christmas was a good one for me, because one of the presents I got was a set of Fiji bird stamps. 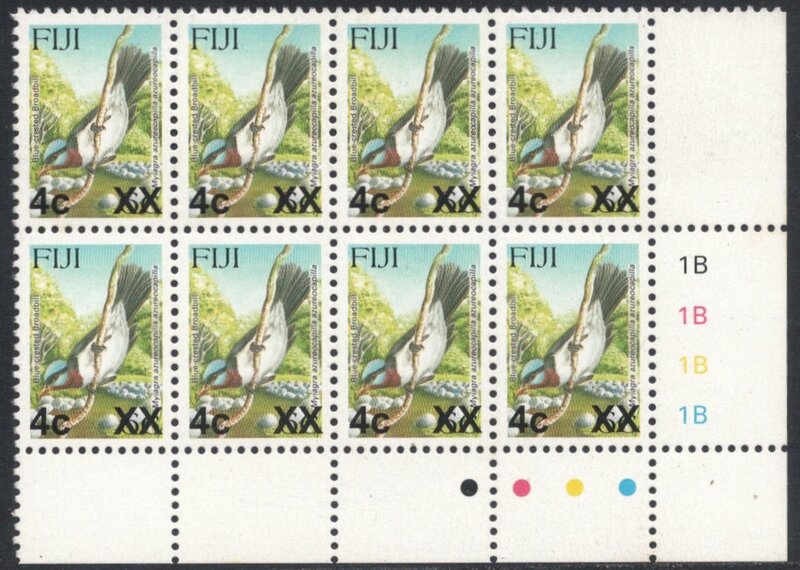 And not just any bird stamps, but the Fiji bird definitives! The ones that make modern definitive collecting just as interesting as focusing on more classic issues. Why? 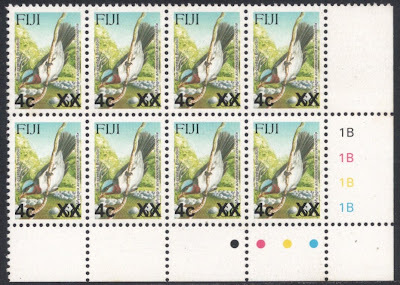 Well, it all started inconspicuously enough in 1995 when, in two parts, a set of 16 definitives was issued depicting various birds. 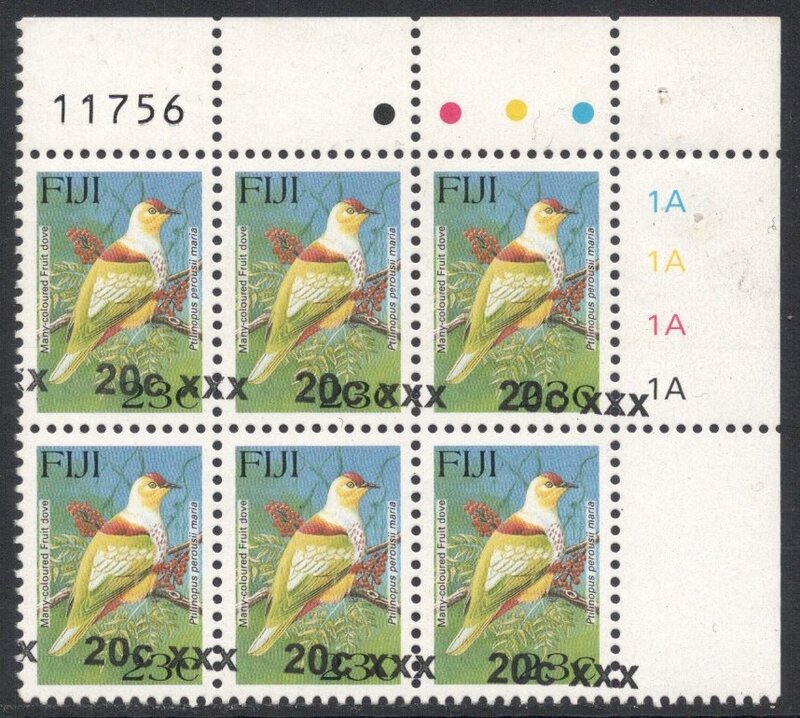 Nothing new there, nothing to write home about, and for more than a decade it seemed that the wrongly inscribed 81c value was to remain the pinnacle of philatelic delight. 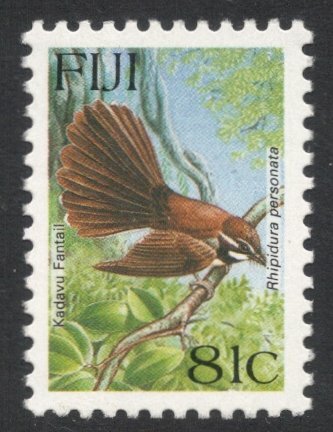 The Kandavu Fantail described as Kadavu Fantail. Not so! 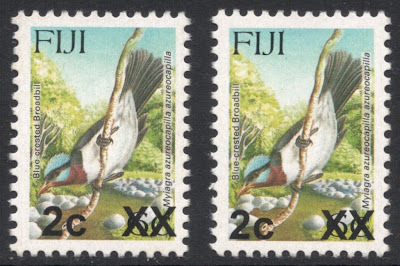 From 2006, a number of rate changes and a recurring shortage of low values meant that Fiji embarked on an ambitious programme of overprints, which was considered cheaper than reprinting low value stamps. This practice is still going on at this very day and has thrown up loads of varieties, flaws and other delights along the way. 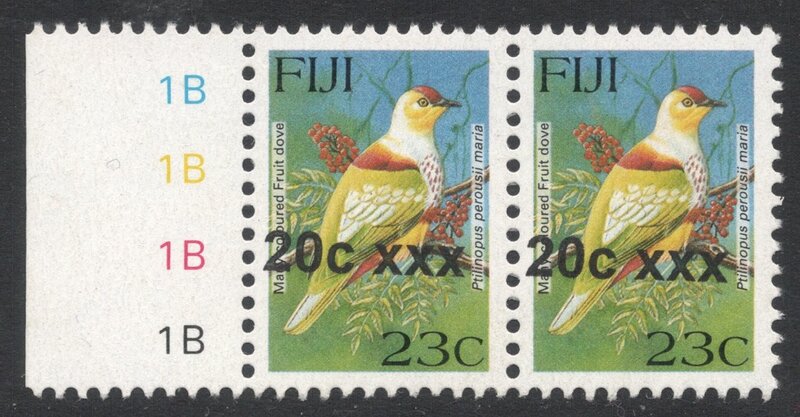 Generally, all overprints consist of a new value with the old value obliterated by crosses. But that's where the generality of it all ends. The first overprints had two small crosses to obliterate the old value. Later overprints, however, used two large crosses, and to make things worse: the space between the new value and the crosses may differ, and is usually either 4mm or 5mm. It does not sound like a lot, I agree, but when looking at the two, it is a noticeable difference. 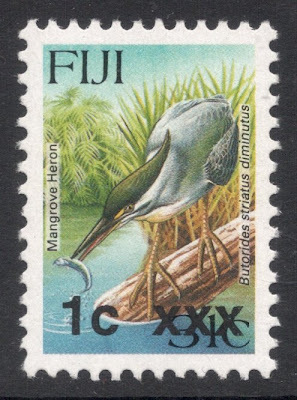 Even later, the overprints reverted to small crosses, but now three were used. This still seems to be the norm, judging from the latest overprint, the 40c on 31c value, which was issued late 2012. Of course, as with any definitives, it is always better to try and get items in cylinder blocks. Or even better: try and find stamps with flaws, such as this 20c on 23c with a slanting overprint. Best of all - at least, from what I've been able to scramble together at this short notice - is this cylinder block with an overprint that is both shifted and slanted. Oh what joy! 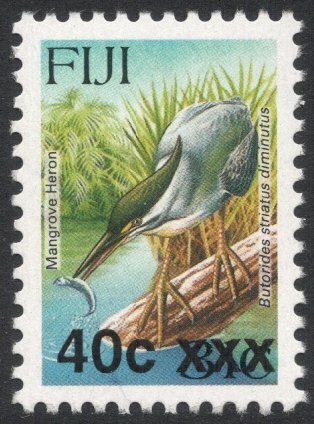 There are so many different overprints and varieties out there, some of course much less common than others, that you could do worse than spend all your time hunting down all the different items of this one set. I promise you, you won't get bored soon! A contrast to the Machins! Good job. Great post. I was wondering what sort of prices these faults go for? Is it an expensive set?? 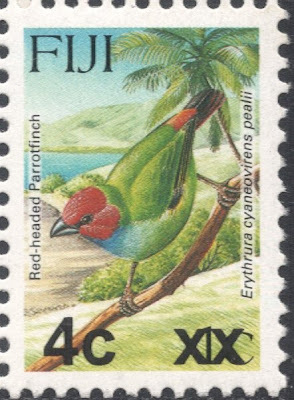 Depends on what you call expensive I suppose, but if you check on sites such as Ebay or Delcampe (I find that searching for Fiji birds gives lots of options), you'll see that quite a few errors go for less than a tenner, with only the rarer ones going for substantially more. Adrian, you are the first person I thought of when I heard the news that Queen Beatrix will depart the throne this spring. Is this good news or not from your perspective? 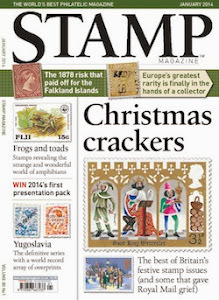 What will it mean for Dutch Queen stamp-dom? Soon, a Dutch king! Thanks, I enjoyed reading that. I look forward to your analysis as the stamps of the new reign debut. This means that, say, 20 years hence, there will be a King William (UK) and a King Wilhelm (Holland) simultaneously. That's going to cause confusion. "Which king did you say was coming?" etc., etc.